Looking for an uncommon journey? Join us on a voyage of discovery and spend Christmas and New Year’s Eve in West Africa! We offer the unique chance to join us on our quest for the known and unknown treasures of Benin and Togo. 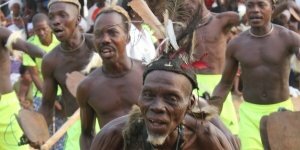 A journey along kingdoms, voodoo religion, local festivals and local life. A colorful journey through two amazing countries. Click here for extensive information.